The National Transportation Safety Board has proposed that states lower the blood-alcohol content at which people are considered per se intoxicated to 0.05. Smyrna DUI lawyer Benjamin Von Schuch says that Georgia should not follow the recommendation, which just puts people less likely to harm someone behind bars. Decreasing the blood-alcohol content at which one is automatically considered intoxicated may not save lives. It may, instead, destroy the lives of many people who would likely never cause a fatal accident. The National Transportation Safety Board, an independent federal agency, has issued a report containing a recommendation that states bring the blood-alcohol content (BAC) level that a person is considered intoxicated to .05, down from .08, saying that such a policy shift will result in fewer deaths from drunk driving. Smyrna DUI lawyer Benjamin Von Schuch said that such a change will only result in people who were unlikely to harm anyone going to jail. “In this recommendation, the NTSB went too far in its recommendation," Von Schuch said. "If Georgia or other states were to implement this proposal, it would simply result in more people being locked up in jail and losing their license — many of whom would be unlikely to injure anyone." The report is titled “Reaching Zero: Actions to Eliminate Alcohol-Impaired Driving,” and was adopted May 14. The report listed several recommendations, and the reduction in BAC was among them. The reports claims that reduction in DUI deaths has stalled, and that new action must be taken to further reduce the number of people killed in drunk driving accidents. The report cites the fact that most countries in Western Europe, the BAC has been set at .05 or lower, and those nations have a lower rate of DUI death than the United States, marking the change as a success. However, the report fails to take into account the many differences in driving in those nations – differences such as the way the roads are built and the way people drive, which heavily impact automobile accident deaths, said Von Schuch. Additionally, the report fails to take into account the fact that DUI laws in these countries do not always reflect the idea that a change to .05 would have a tremendous impact. For instance, while France and Germany do set an offense at .05, the offense does not become a penal or criminal one until the suspect is accused of having a BAC of, respectively, .08 or .11, according to a report by the National Highway Transportation Safety Agency. The report also ignores facts on drivers in the United States, Von Schuch said. According to a 2009 report by the NHTSA, only 6 percent of all auto fatalities are caused by drivers whose BAC is between .01 and .07 — the group that would be targeted by a reduction in the BAC required for per se intoxication. Meanwhile, according to the same report, 22 percent of fatalities are caused by people with a BAC above .15. "This proposal is targeting the wrong group," said Von Schuch, Smyrna DUI lawyer. "People who are less intoxicated are less likely to cause fatal accidents. If the concern of drunk driving laws is to protect the safety of other drivers, then this is the wrong direction." The current .08 standard was pushed upon states by Congress. In 2000, Congress passed a law that threatened to withhold highway funding from states that did not enact the .08 per se BAC limit. By 2004, all states had complied. 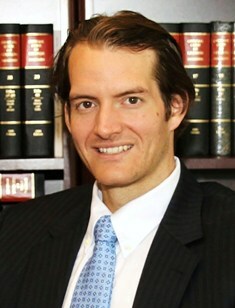 Von Schuch called on Georgia congressional elected leaders, both in Congress and on the state level, to resist any calls to change the law. "Decreasing the blood-alcohol content at which one is automatically considered intoxicated may not save lives. It may, instead, destroy the lives of many people who would likely never cause a fatal accident," Von Schuch said. "Reducing DUI deaths is a commendable goal. This is the wrong way to do it." Benjamin Von Schuch is a Smyrna criminal defense lawyer who represents Cobb Country, Fulton County and Atlanta-area residents charged with DUI, drug charges, marijuana charges and other offenses.